Giant Easter nests have taken over Cogges Farm. 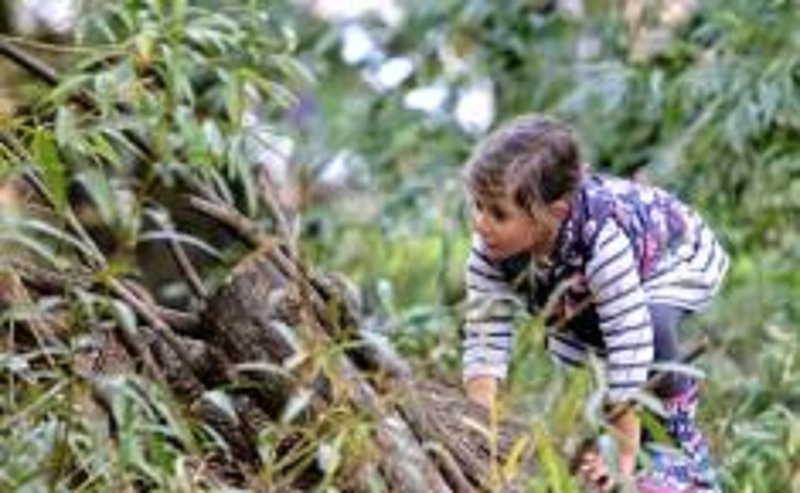 Visitors to the farm over the Easter holidays will discover a trail of climb-in, get-involved, & clamber-on nests made with natural materials that you might find in the surrounding fields and forest. Imagine yourselves as woodland creatures, get dressed-up and hunt for eggs in the Easter play barn, ride mini tractors and run free through the beautiful landscape of Cogges looking for signs of spring. At weekends, you’ll be able to join in with meet-the-animal sessions at 11am and 2pm, as well as try tasty treats in the manor house kitchen. The Easter trail is £3 and is redeemable for a prize in the gift shop. On Tuesday 9th April and 16th April Cogges’ Woodland Club will be busy under the trees crafting and cooking over a campfire (just drop-in). There will also be a programme of shows and performances throughout the holidays, including ‘egg-drop challenge’ workshops from Science Oxford on Wednesday 10th April, Treasure Island family theatre on Thursday 11th April, and Nick Cope on Good Friday 19th April. Please note that these events require booking in advance for an additional cost. Only one question remains, who could possibly lay giant nests with enormous eggs? EATING OUT WITH THE KIDS IN OXFORDSHIRE THIS EASTER? If you fancy grabbing a bite to eat while you’re out and about this Easter with the family we’ve got loads of suggestions for child-friendly restaurants in Oxfordshire. Check out our handy guide, please click here. If you would like these great events sent directly to your inbox why not sign up to our newsletter here?